We have a nasty vent in the basement. It is bent and warped and totally gross. It is also a gateway into a secret spider kingdom where billions of the little beasties grow. The vent cover thingie (Trent tells me is is called a heat register) is pretty bad, too. It's rusty and bent, and the fins that control airflow are falling off. Ew. Georgie- my baby - put the register in the vent, bent metal and all. I think I've been put in my place - by a two-year-old. When I was engaged to be married, twenty years ago, my sweet daddy took me aside to give me a bit of advice. I've remembered it, and think of it often. His sage nugget of fatherly wisdom? He could have just stopped there, I suppose, and I could have ended up even more fiercely independent than I am now. I would have fought my way through every new situation, ignoring the catcalls and garish opinions of neighbors and grocery store clerks, intent on making my own path, doing it my way. But he didn't stop there. Instead, he lovingly taught me that I needed to check the credentials of the advice-giver, and not accept every bit of information blindly. I should see if the advice had turned out well for the adviser, and if it had truly made their lives better, easier, more full of joy. I'm so glad I learned this lesson, or I would have missed out on the richness of experience. There are so many mothers around who know infinitely more than I do. I've never had to deal with croup or RSV. I don't know what I'm doing raising a girl. I don't know how to send a child off to college. I struggle with not feeling martyr-ish. But other mothers have been around these blocks. They know how it worked for them. They could show me the ropes, tell me their stories, and give me some guidance. I could learn an awful lot from them. Some of the stories, true, are verbal exercises in one-up-man-ship, or are maternal horror stories. To these, I can insert a mental eye-roll or a quiet chuckle. Some of the stories are downright outrageous. Life may actually be like that sometimes. Some of the stories, unfortunately, are just plain mean. I know how to recognize and ignore mean. But to all of them, I can be gracious to the advice-giver, give them the benefit of the doubt, sip up the wisdom, and discretely discard anything that doesn't work for me. So the next time I'm in a grocery store and a random lady looks at my children, clucks her tongue, and asks, "Are these ALL yours? Didn't you know how to prevent that?" (true story) I can smile and not feel a sting. Or when the mother at the playground starts telling me how to manage my dirt-thrower, I can smile, say thank you, and take care of my little rug rat. And when the gal at church asks, "Your little guy isn't talking much, is he? Why at that age, my daughter..." I can smile and listen to the story she wants to tell. I don't have to get angry, feel slighted, become hurt, or feel put-down. Any offense was likely not intended. If it was, all the more silly of me to let it get to me! And when I can, I will sit at the feet of a seasoned mother, bask in her wisdom, and learn as much as I can. I'm not a perfect mother, but there's a lot I can glean from the advice of other mothers. Let's learn and laugh and love together, we mothers. Together we can raise the best children the world has ever known. We found shoes to wade in the river. We found their regular shoes (hiding under the couch). We went to McDucks (which we never do!) to keep up our strength through a shopping expedition. We almost bought a new pair of sunglasses until Ben reminded me that he already had a good pair of aviators. We packed chips and cookies. We dug the big duffle bag and the good backpack out of the garage. We pulled together two little first-aid kits. We pulled out bug spray and sunscreen and aloe. We had a disagreement about how much clothing was necessary. We ran to the store for two new camel-packs so no one would get dehydrated. We wrestled with said camel-packs when their valves were leaky. We sent plastic bags - you never know when one might be useful. We hunted for lost items and did some quick laundry. We found out that Chris has grown taller than me. We doffed our baseball caps and remembered deodorant. We even snuck in a couple of camp chairs. In the end, they departed, with their bags and bikes and chairs and chips. I waved my proverbial lace hanky. Have a good time, my boys. Be safe and take good care of each other, and don't do anything that would end up in a Reader's Digest article. Man, I love those boys. I mapped all the sprinklers in our yard today, which was no small task. We have over an acre of land to keep watered. So far this year, we are failing miserably. The sprinkling system is forty years old, and it's breaking down. Every spring we have a few more broken parts to replace, in addition to the sprinklers that the boys have unsuccessfully jumped over, or hit with the lawn mower. It's a big job. This year, there was more broken than working, so I had to drag a sprinkler around the yard on a hose. It was a royal pain in the patootie, especially since I have a hard time remembering to move the water every hour. I could get all the way around our property every three or four days, but by then there were dying patches at the beginning again. Much of our yard is thirsty, wilting, parched, and looking pathetic. Just as I was feeling hopeless and about to give up, Alec chipped in to help me with the sprinklers. Or he was assigned to the chore. Either way, it was the same end result: most of the zones are working now. I really didn't know which sprinklers watered which areas, and I didn't have a master plan, so this afternoon I made one. I turned on each of the zones, and walked around the yard with map and a colored pencil. I colored and outlined, and enjoyed being outside. The best part (aside from getting unepectedly sprinkled) was seeing the personalities of the sprinklers. Some were ace performers. Others were underachievers. Some just refused to do anything but bubble or flood. One sprinkler shoots thirty feet into the air (I'm not exaggerating) before letting the water hit the lawn. I think that one was the captain of the cheer team. Another zone has fourteen little sprinklers, all lined up like expectant kindergarteners on their first day of school. The best one is an old Rainbird impact sprinkler perched precariously atop a three-foot pipe. The sprinkler itself was trying so hard to shoot that it made the pipe wobble crazily. To make matters worse, there are three leaks in the connection and the pipe itself, making water squirt unceremoniously in all directions. Poor thing. I think Alec and I will put it out of its misery tomorrow. It's scout camp season around here. David went on his first overnighter last week, and had a great time. He took a day and a half to pack, came home smelling like a campfire, then took another day to catch up on his sleep. It was a success. One camp down, and seven(!) to go. Ben and Chris will be leaving this week to go mountain biking and river running. It's a great adventure for them, and I'm especially glad that they can go together. Then Alec has a short campout/team building session. 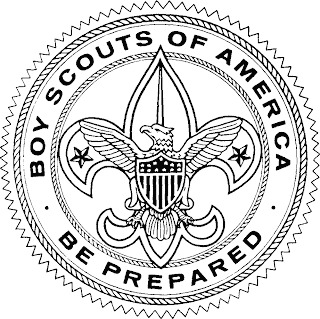 A few weeks after that, Chris will be going to a scout leadership training camp, where Alec is one of the head youth leaders. Then Alec and Ben will head out for a backpacking and mountain climbing trip. I guess we really only have four campouts, but three of them have two boys going. It's a great opportunity for the boys to go out and have a rip-snorting good time with other boys. I'm glad that they have fun, adventurous (and safe) leaders to take them. And I'm really glad that I don't have to go. I don't even feel bad about not wanting to participate in these kinds of things anymore. I used to give myself a guilt trip about it, but I'm over that. I don't have to enjoy every thing that my kids enjoy. And they don't have to like the things I like. I don't even like all the things I used to like... I'm not even sure what it is that I do like. But I think it's fun to watch them get ready to go. It used to stress me out, but I have enough experience with scout camps now to know that none of my children has yet died from starvation (because I only had peanut butter sandwiches and a can of chili to send for their dinner) or exposure (because they didn't take enough pairs of clean socks, or they thought a hoodie would keep them warm enough). 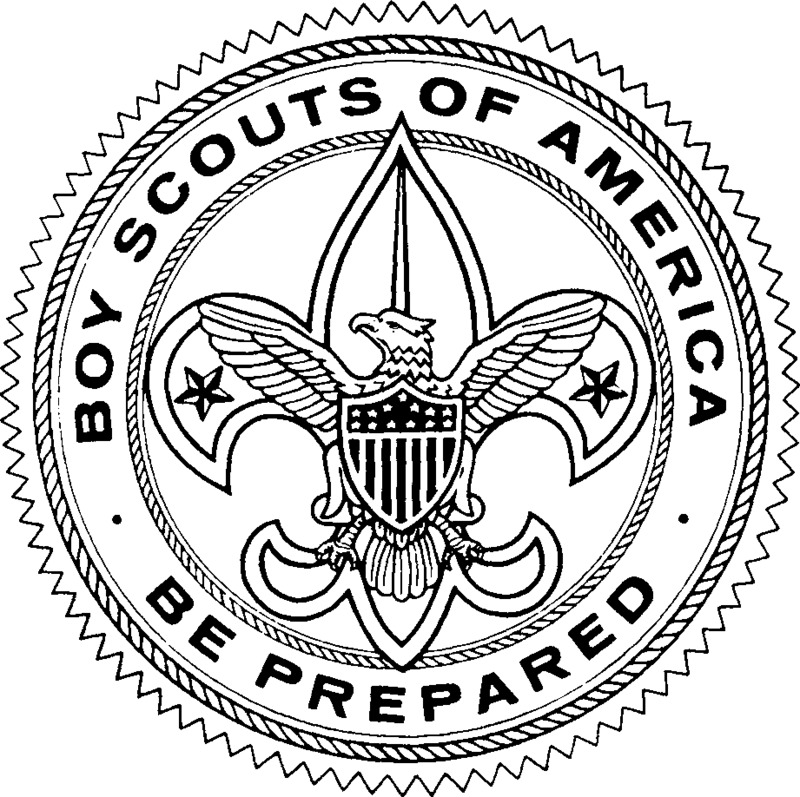 "Be prepared," the scout motto says, and the boys learn how to do just that. Some of my boys prepare a long time in advance; others throw a few things in a backpack moments before they have to leave. And both ways work. I'm glad that they can go and have memories and adventures. I'm glad that they can get themselves ready. I'm glad that I don't have to go. I'm glad to see them go, and I'm glad to see them come back - sunburned and dirty and smelling like... boy and smoke. And I'm glad that they do their own laundry when they get home. 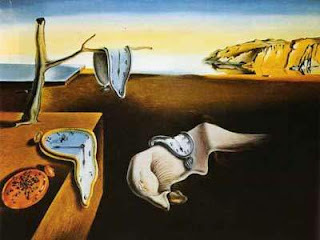 This famous work by Salvador Dali is what I am thinking of now when I think of the word "drape." I've been working on those draperies for so long that time is ceasing to make any sense. And everything is melting, melting, like my poor tired hot brain. Every time I sit down, I feel like I'm just draping myself on the sofa, and dribbling over the edges like this. Draping, melting, running out of time. I shouldn't take on big projects in the summertime. But I finished two our of three windows (the two that really needed to be light-blocked) in time for Alec's big Avenger's movie marathon. The boys watched the hero movies all day long. All. Day. Watching them sitting wore me out. So glad tomorrow is the Sabbath! Today I woke up when Georgie and Freddie crawled into bed with me - one on each side. Georgie was all about poking my eyeballs, tying my hair in knots, putting the blankets over his head, kicking me in the ribs, burrowing down to the bottom of the bed, throwing all the covers off, and generally wiggling. Freddie, on the other side, would occasionally raise his weary head, stare me right in the face as if to say, "You're kidding me. Why don't you make him hold still?!?" before he thumped back onto the pillow, sound asleep. I made a sack lunch for David, and helped him get ready for his first overnight scout campout. I resisted including a love note from Mommy (not 11-year-old-approved), but I did write his name is large robot letters on the bag (which did get the nod of approval). I took Ben to orientation for his new job, then waited in the hot, non-air-conditioned car for an hour and a half while he finished his paperwork. I didn't die, but I did get some paperwork done. I made a list of all the things which have been bugging me. I plan to seal the list and burn it while I forgive and let go of all that *stuff* with which I plague myself. I made a salad for dinner because I could not stand the thought of cooking. Or eating anything hot. I also made my first green smoothie. It was quite tasty, but I have to admit that it was the first smoothie I've ever really wanted to chew. I was happily surprised when my folks popped in for a little visit. I cheerfully cleaned the kitchen. I killed a spider. I pulled a bunch of weeds. I coughed some while I swept off the back patio because of all the smoke in the air from a local wildfire. I grounded a boy for being mean to a younger brother. I listened to Chris and David and the neighbor kids play night games in our yard. I changed a lot of diapers. I put everyone to bed. And I'm exhausted. Mothers just are in the summertime. Now, it you'll excuse me, I have some drapery sewing to go do. I love being a mother. I love having confidence in my body that it can produce healthy babies. I love holding my little ones and kissing them and smelling them (most of the time) and watching them grow - even though they leave behind so many wonderful little memories that will never happen again. I love having older children, and I am amazed and delighted to experience the next adventure with them. But I do miss my little babies. I was thinking this the other night while I nursed my sweet little twins. They've grown out of their other nursings, but we've held on to the last nighttime mommy milk. I've been noticing that their diapers are more dry in the morning than they used to be, and they don't nurse as long as they used to. They aren't getting much milk anymore, and our nighttime cuddle session is little more than a soothing ritual to calm down before bed. 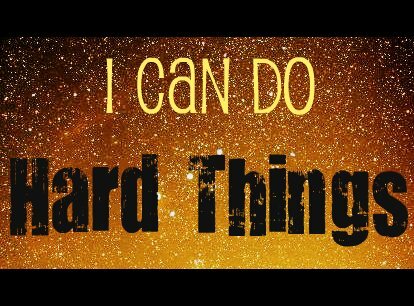 But I've had a hard time giving it up. They love nursing. I love nursing. These are my last babies (I know, this is the third time I've thought I was done. But I really do think I'm done.). This is the last time I'll ever get to nourish my babies, my flesh and bone, with milk I produced just for them. It's a sacred thing to me. Why would I want to quit? I don't want to, and that's the truth. I was thinking these melancholy thoughts while I nursed them, and had the distinct impression that this was our last time. Freddie fell asleep at the breast, and Trent took him to bed. Instead of following him with Georgie, I stayed on the couch for a few extra moments, savoring my delicious baby. I gave them both an extra kiss as I tucked them into bed. The next night, Trent and I went out to a play. When we got home, the older boys had put all the little ones down to bed. It was slightly before the twins' normal bedtime, but they were already asleep. Without their magical sleeping elixir. Without their nighttime nursing. Without me. We're done. I'm done. I can throw away the nursing bra. I can wear dresses again. Someone else can put the children to bed without me. I don't have to take the prenatal vitamins. I can stay out late if I want to. I'm not a mother of babies anymore. The only vestiges of babyhood left are the diapers (and we're working on that one) and the crib. They don't even fit into the crib very well anymore. They aren't babies anymore. Freddie patted my breast today and said, "Mine," and signed "all done" with his hands. Then he patted my other breast, said, "Georgie," and again signed "all done." Yes, my dear, we are all done. All done with that beautiful chapter of our lives together. We'll never be close like that again, but we will stick together for all kinds of wonderful new journeys. I love watching my children grow and develop. And I cried myself to sleep that night. I hope y'all had a happy Father's Day. It was pretty busy around here, with four different fathers to celebrate. We're lucky that way, to have so many great dads to help us and our kids grow. Thanks for your love and your example. We love you. Yeah, they all say you should line your curtains. I've lived in (wait ... I'm counting...) seventeen different places since I left home after high school. In most of those places, I was in charge of decorating and privacy issues - curtains. I haven't yet lined a single one. Until today. I took this picture without a flash, so you can see how much light is coming through the curtains. The curtains - draperies - whatever you like to call them - on the right are lined with the plain-Jane light-blocking fabric. The ones on the left are not lined. This is our movie room, so it is nice to have it dark sometimes. Hence, the curtain lining. I always thought that making a lining for the curtains was like doubling your work, by having to essentially make two curtains for each panel instead of just one. I'm too lazy to do more work that I have to, but here I had to. And it does block out the light much better. My assistant and resident Foosball expert - Georgie. And yeah, I know the bottom hem is wonky. It's just pinned, and I'll make it hang straight when I actually hem it. But I was surprised to see how much nicer the lined curtains hung. And how much nicer they look. More bulk, more crispness, more nicer-er. And it was surprisingly less work than I thought it would be. More work, yes, but not overwhelmingly more. Maybe we all work better when we have a little backup. Maybe we all hang better when we have someone to hang with. Hmmm. Life lessons, as taught by drapery. Today started when I got up. Isn't that profound? Ok, it actually started before I got up. If it hadn't already started, I wouldn't have gotten up. And that's the truth. Angel had to go to the bathroom this morning, so I needed to let her in the bathroom. We've finally put a kiddy-lock on the bathroom doorknob. Georgie was complaining about his diaper, so I took him to the bathroom for a diaper change. He saw the Angel on the toilet, and wanted to go "pah-TEE!" She finished and went into the kitchen to eat breakfast. While I was balancing a little bottom on the big toilet, Freddie barged in and wanted to sit on the "bobby," too. I took off his diaper while George was doing his business, removed one naked baby from the toilet and replaced him with the other. Just then, there was a tremendous crash and a wail from the kitchen. I ran in and helped the girl and the bar stools off the floor, with both buck-naked boys dancing around us. And that's how my day began. I did get some of our dying grass watered, did errands in the hot van with most of the kids for hours, took said hot children to get 49 cent ice cream cones, narrowly avoided getting in an accident on the freeway, had a nice visit with my mother, was thankfully informed that the luncheon I had volunteered my house for (and then forgotten about) had been cancelled, hung inspirational postcards in the stairway, found out that David has been climbing out his bedroom window, and helped the boys chop up the branches that were blown off our tree in the last windstorm. I put my hair up in a new hairdo-triple-bun-arrangement and it mostly stayed up and off my neck. I remembered to look at my schedule before the day was over. I congratulated my children on getting such wonderful grades by taking them to Krispy Kreme for doughnuts. I cleaned up after a peanut-butter-and-apricot-jam-sandwich spree that cost the lives of a loaf and a half of fresh bread. I helped Chris magically make dinner appear out of our empty fridge (pasta with cheater Alfredo sauce, canned fruit, and hot Italian sausages we found in the deep freezer). I supervised the doing of chores (whew!). I changed diapers. Lots. I made sure the garbage can was taken out to the curb. I chased little people back in the house half a dozen times after they escaped. I pulled a few weeds out of my new strawberry patch. I folded a load of laundry, which has since been unfolded and strewn about the living room because I didn't put it away. I braided Angel's hair. I did not work on those curtains. I did get a few moments to read out of an inspirational book a dear neighbor lent me (thanks, Michele! It's making a difference!). I did listen to some uplifting music, and I did sit on the back porch for a few minutes this evening. Busy, slightly insane, and content. My heart is full. We're a few weeks into summer now, and no one has gone crazy yet. We haven't even had too many "I'm bored" complaints. Here is what we have been doing. We set a summer theme of "Get Better," and decided to do things that would help improve us in some worthwhile way. Mom gets the final say on what is worthwhile. We came up with a list of subjects, or topics, which we thought might be interesting. Our topics this year were: exercise, art, reading, gospel, housework, yardwork, field trips, cooking, fun, building, technology, learning, science, math, family building, servic, geography, fun, writing, social, service, and music. We taped each topic up on the window, and periodically forced asked the boys to write down some activities on each list (Like this: "Quit hitting your brother!" "What else can I do, Mom?" "Go write twenty ideas on the lists!" "Do I hafta? Oh, ok.") After a few days, we had quite a collection, which you can see here. Oh, and I have to show a funny typo on one of our lists. On line two of this list, I thought we ought to try cooking some foods from different countries, but Ben wondered if I was just wanting to make sure all our food was moral and decent. Anyway, I picked a few topics I thought would be good for the week, and wrote the activities on sticky notes. Every day or so, I change out the sticky note for that topic for a new one. This very fancy chart hangs on the fridge, and the kids have to complete all the activities on it. Today, they have to exercise for 30 minutes, read a conference talk, draw 1 or 2 5x7 pictures for our art gallery, and read any book for 30 minutes. These activities are in addition to their regular chores. Right now, I have all the household chores written on index cards. I clip up the chores that need to get done, and tell them how many cards to do. The chores are first come, first served, so it behooves them to begin working promptly in the morning. This lovely chart also lives on the fridge. I would make cuter charts (and I like doing things like that! ), but my computer is not hooked up to a printer, so it wouldn't do me any good. Me and scratch paper and markers get along pretty well, anyway. So far, it's working pretty well. I guess I came up with a good system (patting self on back). Or maybe it was the promise of going to Krispy Kreme tomorrow if they stay on top of things? So the twins are two. Two. Everything is double double when there are two who are two. Double trouble, double fun. Fun. Since they are celebrities around here now, we decided to interview them. Our venerable Grandma was the interviewer, and we let Freddie answer first, followed by Georgie's responses. Not that we love Freddie more, but he just managed to get out first, that's all. How old are you this birthday? Two. Too! Identify something you enjoyed about the celebration: Cake. And grammas and grampas. And watching everyone else eat with their hands. I liked the toys, but not the people. I get too bashful. But Mom forgot the balloons! Boo! Name an advantage to being this age: Total irresponsibility! I'm big enough to climb where I want, but cute enough to get away with it. Your address: On the corner of two streets with lots of cars and big trucks and motorcycles. And fire trucks! What's an address? Favorite room in the house: The kitchen, where the refrigerator is. I'm strong enough to open it now. Ha ha! I like the bathroom - it has the water! I love to drag in a chair, climb on the counter, and play in the sink. And the toilet. Good times. Name 3 talents/strengths: I'm strong and I can run fast and I'm big and I can open the fridge and I eat fast... (how many is three?) I am a fabulous dancer, I can hear every airplane before anyone else, and I am the boss. Two favorite foods: Crackers and juice. Ice cream and milk. And apples (any fruit is apples). And cookies! And eggs! And milk. Milk is mine! Least favorite food: Ummm... I like to eat. I have a hard time with anything I have to eat fast. I'm a nibbler. I'll eat yours for you! No. Mine! Fine. Have it. Mooch. What book do you like to look at most? Anything with trucks. Or animals. Or the alphabet. I'm partial to the letter L. I like to chew on books. Favorite toys: I like it if it has wheels and goes "vroom!" I like to snuggle Angel's dollies. Hey, me too! Don't tell the guys. I love my blanky, and helicopters, and I really like to throw things. We fight over balls. Do not! I just take them. Nursery teachers: Do they have names? I like that Shelley Lady. And the Eccles one. The Bezzant Lady is nice, too. Which family member is currently your favorite during the day? Daddy! Mom-mom. What songs do you like? Popcorn Popping on the Apricot Tree and The Wise Man. Itsy-bitsy Spider and In the Leafy Treetops. Name something you don't like or are frightened by: I'm not afraid of nuthin! Chris. He has a scary growl. And dogs. Name something you should be frightened by, but you aren't: Riding my big wheel out of our yard and down he hill. Whee! Playing in my big brothers' rooms. I like their Legos. And I like putting little things in my mouth to chew on. How are you coming along with toilet training? I go when Mom puts me on the pot. Isn't that what I'm supposed to do? Yeah, but you're supposed to hold it between times. I'm getting good at that part. Favorite home activity: Running outside and playing in the sprinkler. And the sit and spin. Riding my motorcycle (big wheel), and coloring, and baths. Oh yeah. Bath! Favorite away from home activity: Going for a ride in the car. I love playing at the park with a slide! Size of clothes: 2T. Too. How much do you weigh? Six ninety-five. I'll have to ask Mom. But about two pounds less that him. She says we're about 25 and 27 pounds. Describe your Sunday clothes: Tan slacks, blue and red plaid button-up shirt, black sandals. Tan slacks, blue and white plaid shirt, dark socks (because we can't find the other pair of shoes). And a piece of masking tape on my back with my name on it for the ladies at church. Pets/Names …. favorite one? Must chase cat! And birds in the yard! Nefi is nice, but Nicki runs away from us. What should Gramma know about you that I don't now know? We love you! You ask a lot of questions. Where are you selling our information? Happy birthday, you two wonderful tykes! I had big plans for today. I was going to get a good start on sewing my new drapes for the rec room. First, I made lists, because I'm that way. I sketched out our game plan on the white gray board and made David and Eddy help me with the measurements and the math (lots of math = good for summer brains!). cut one piece of fabric into four pieces. Three cuts. That's all. At this rate, I may be able to thread my sewing machine by the end of Monday. Woot! I did go fabric shopping, at my very favorite home decorating fabric outlet. I found some material I love for the draperies that was only three dollars a yard! But when I go home, I felt a pang of buyer's remorse. I didn't feel bad because I had bought things (I still love the fabric), but rather because I had left home to go shopping. Both twins and the Angel had an egg bash while I was out. Where were the older brothers? Reading books, totally oblivious. <sigh> Shall I mention the newly-emptied sugar shaker? Or the waterfall in the bathroom? At least now my kitchen floor is nice and sparkly clean! A few years ago, one of our older boys asked if he could have some friends over to make pizzas and watch a movie. I want my boys to be socially well-adjusted, and I totally want them to hang out at our house with their friends. It's something their dad and I always wanted. So I said yes. He had his friends over, they had a great time, and the rest of the family spent the evening, hungry, hiding out in the hallway because it hadn't occurred to me that we would need a place to eat and sit while the party was occupying our living room and kitchen. Our little bitty living room and our little bitty kitchen. Having more than one living area was one of the main reasons we moved to a bigger house (plus the minor detail that we had run out of bedrooms). Our new-to-us home has three living spaces: a living room that we live in, a family room that we live in (and eat in at our extra-long table), and a recreation room where we store leftover things. We keep random things down there, like the substantial 1970's end tables that look like treasure chests; old drapery hardware that we took down over a year ago when we repainted; a pool table we love playing with but mostly set things on; a collection of baby gates we don't use since the twins figured out how to combine their strength and knock them over; and a large cabinet made of particle board we found in a basement closet. Here, for your viewing pleasure, is a picture-poem of our rec room's loveliness. The rec room is an L-shape, with one skinny wing to the west, and the larger leg heading north. Here, in the West Wing, we have the green couch we inherited with the house, sun-faded along the front edges of the cushions. It is sturdy and firm, so we'd just need to recover it (and replace one of the feet so it doesn't rip the carpet every time we move it). Next to the couch is the pile of bed pillows I found hiding here and there, and the particle-board cabinet. At the end of the West Wing sit the treasure-chest end tables that I think my (far-distant in the future) grandchildren would find enchanting, and the big TV with a hole in the screen which happened when Eddie threw the remote during an altercation. <In my best tour-guide voice> Looking to the east, we see the futon we keep for overnight guests, the pool and Foosball tables, and the sectional sofa which I love, but unfortunately is not mine. We are storing it for my little brother. I regret that we can't fully appreciate the copper-colored metal window blinds or the square holes in the ceiling where the lights are supposed to go. Here is another view of the North Wing, where we can see the sliding door which leads to the patio, through the miniature room housing a second-hand exercise machine. The blue and green balls on the floor are loving reminder that little children, as well as big boys, live here. I like our rec room, especially when it is tidied like it has been for the past few days. But I think it needs a little bit of sprucing up. I'm not complaining - it looks better that it did when we moved in! I think I'll head over to the fabric store to get some draperies when the little ones take a nap. That's a good start. Anyway, we tidied and cleaned, and I scrubbed out the downstairs bathroom. I may need to take back some of what I said about the boys keeping their bathroom fairly nice. Back behind the toilet was... ew. Not bad-gagging-call-the-haz-mat-team kind of ew, just oh-yeah-there-are-a-buch-of-boy-who-live-here kind of ew. And I cleaned it all up. Moms do that. And I didn't even complain (or wrinkle my nose). I just jumped in and tackled a job and did it. I can do hard things - and even some not-desirable-but-not-terribly-hard things. And now I have two shiny bathrooms. I kinda like that. The boys clean their bathroom every day - or at least they claim to. They have to tidy, straighten the towels, empty the garbage, swish the toilet, and do CSM (sink, counters, mirror) every day. Every. Day. And it stays relatively passable and gag-free, which is impressive for bathrooms in a house with seven boys. But not my bathroom. No, it doesn't get such loving attention. It gets spots on the mirror and random building hardware takes up residence on the counter. Somehow, the toothpaste tubes multiply until there are three or four of them hanging around, gossiping about the fingernail clippings behind the tissue box. A colony of safety pins gather in the wine goblets (I don't know why the goblets are there. But they are.). A brush that never gets used, a collection of little girl hair clips, and a few safety pins get stuck in the grime that slowly grows up around them. And then the hair - the bits that fall out of the electric razor, the wiry snippets left over from the last haircut, and the long snaky hairs that are forever falling out of my head - it all gets pretty gross. Sorry for the TMI. It sits there, getting yucky and yuckier. I wonder when Trent will clean up his messes, and he wonders when I will clean up mine. Don't judge. Actually, go ahead and judge - I always do. I walk in the bathroom and wonder what kind of nasty slacker would let her bathroom get icky like this. What kind of lazy slob am I, anyway? Strong words. Shouldn't we use them to build people up, instead of tearing them down? Especially when those someones are us. We are so hard on ourselves, aren't we? So today I cleaned my bathroom. It really didn't take very long, and it looks so much better. I can even see the 70's paisley pattern on the countertop again. Hopefully it won't take very long to clean out all the icky thoughts, either. I was thinking about this statement today, and I remembered a story I neglected to tell. Chris had a project to do in his gifted eighth-grade English class this year. I mention that it was a gifted class for two reasons: (1) it's a Mom brag thing, and (2) they can do more odd assignments than regular classes. Anyway, his project was to accomplish something substantial. Big and open-ended. The teacher knew what the kids were capable of, and the kids knew the teacher's expectations. Chris decided to create a video game. I will admit, I was skeptical. I really didn't think he could do it, and I worried that he would be setting himself up for frustration. I wondered if he would spend more time playing on the computer than on doing his assignment (he did get distracted, but not as much as I feared). Anyway, he did it. He found something that he was interested in, researched it, delved in, and accomplished it. Chris wrote, designed, and produced a video game, complete with plot, characters, landscape, and animation. He did a hard thing, and I'm proud of him. And although it's hard to eat crow, I'll say it. You were right, buddy. Good for you! I went to a baby shower for my cute niece today. I took little Angel, because baby showers are a girl thing. She had lots of questions about babies in tummies, and if you could open up the tummy, and girls turning into mommies. I like answering innocent questions. After we got home, she looked at my midsection, stretched from seven pregnancies, and sweetly asked, "Mommy? Do you have a baby in your tummy?" No dear. I just have an absence of abdominal muscles, and everything just knows how to pooch out if I'm not sucking it in. And you helped do this to me. Oh wait, I just thought all that. I really only laughed and said, "No, I don't have a baby in my tummy." "Well," she announced, rubbing her tummy vigorously, "I do! I'm a mommy now, too!" She walked around for a while in this exaggerated way, back swayed, tummy pushed out, and her hands protectively caressing the bulge. She really looked the part! So here is our Ode to Motherhood: a Pictorial Representation of Passing the Maternal Love From Generation to Generation. Stage Two: loving the heck out of our babies - whether they want us to or not. I think the green foam rollers add another realistic touch of nostalgic motherhood, don't you?